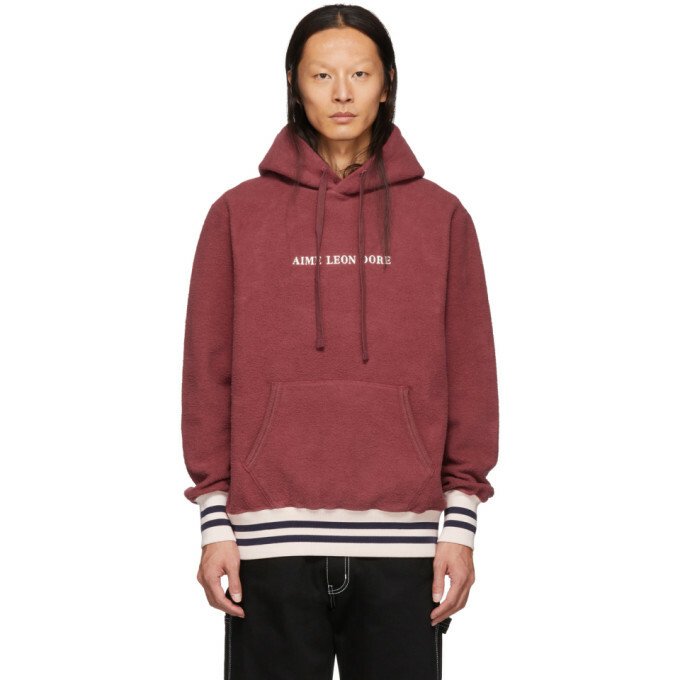 Long sleeve cotton fleece hoodie in ‘maroon’ burgundy. Tonal drawstring at fleece-lined hood. Logo embroidered in white at chest. Kangaroo pocket at waist. Grosgrain logo flag in white and gold-tone at side-seam. Rib knit cuffs and hem striped in pink and navy. Tonal stitching.